Jazz saxophonist Matt Otto will present a master class on topics such as jazz improvisation, saxophone, and jazz composition. Attendees are encouraged to bring their instruments. A rhythm section will be provided. Matt Otto is currently Assistant Professor of Jazz Studies at Kansas University, teaching Jazz Theory and Performance, Jazz Combo 1 and private lessons. Matt is also Adjunct Professor at the Rutgers New Brunswick teaching online courses in jazz improvisation, theory and performance. Otto studied music performance and composition at Indiana University, Berklee School of Music, New School Jazz (BFA) and California Institute of the Arts (MFA). He lived in Japan for 5 years, New York City for 7 years, and Los Angeles for 6 years, and has performed with a variety of artists including Anthony Wilson, Larry Koonse, Rashid Bakr, Ben Monder, Wadada Leo Smith, Willie Jones III, Alan Ferber, Mark Ferber, Albert “Tootie” Heath, Gregory Hutchinson, Jonathan Kreisberg, Charlie Haden , Joe La Barbera, Leroy Vinegar, Jimmy Smith, Paul Jackson, Ari Honig, and many others. While in Los Angeles, Matt co-founded of the Los Angeles Jazz Collective (lajazzcollective.org). The mission of the collective (LAJC) is to help create opportunities for creative jazz composers and performers to showcase original artistic work and to set up an ongoing Jazz outreach program for young jazz musicians in and around Los Angeles. Matt currently performs his original compositions with his Kansas City-based septet, as well as traveling several times per year to New York City and Los Angeles to perform and record with various jazz artists. 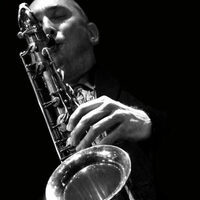 Matt has recorded and performed with the Grammy-nominated Anthony Wilson Nonet (The Power of Nine, Groove Note 1035, 2006), and performers frequently in Los Angeles with the Grammy-nominated Alan Ferber Big Band as well as having recorded on over 50 CDs as both a leader and a side man.